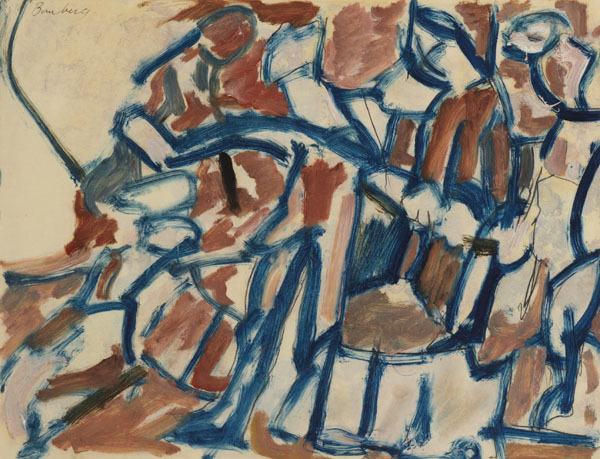 David Bomberg was born to Polish-Jewish parents in Birmingham, England, in 1890. The family moved to Whitechapel in 1895, where he became prominent among the ‘Whitechapel Boys’ - a group of young, Jewish, mainly émigré artists who were either born, raised or worked in the East End in the first two decades of the 20th century, and who, both collectively, and individually, made an important contribution to British Modernism. 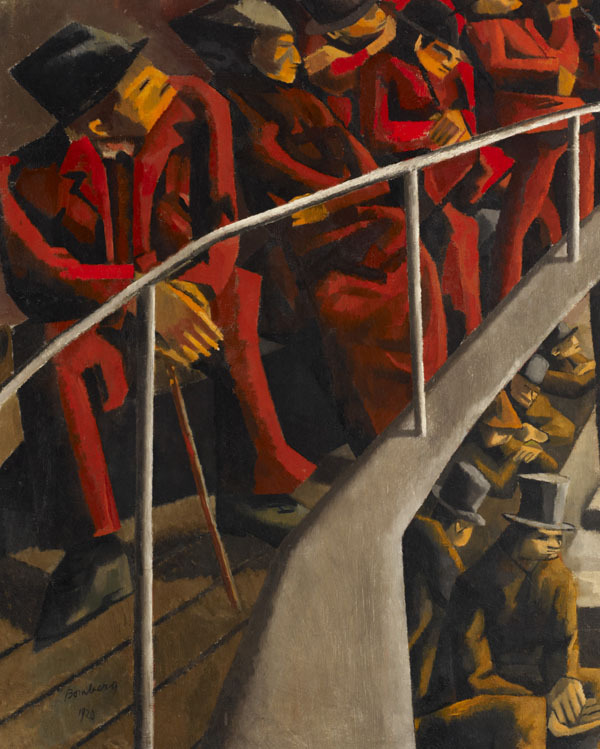 Initially apprenticed as a chromolithographer, he attended night classes under Walter Sickert and also worked as an artist’s model before studying at the Slade School of Fine Art, where he was seen as a ‘disturbing influence’. 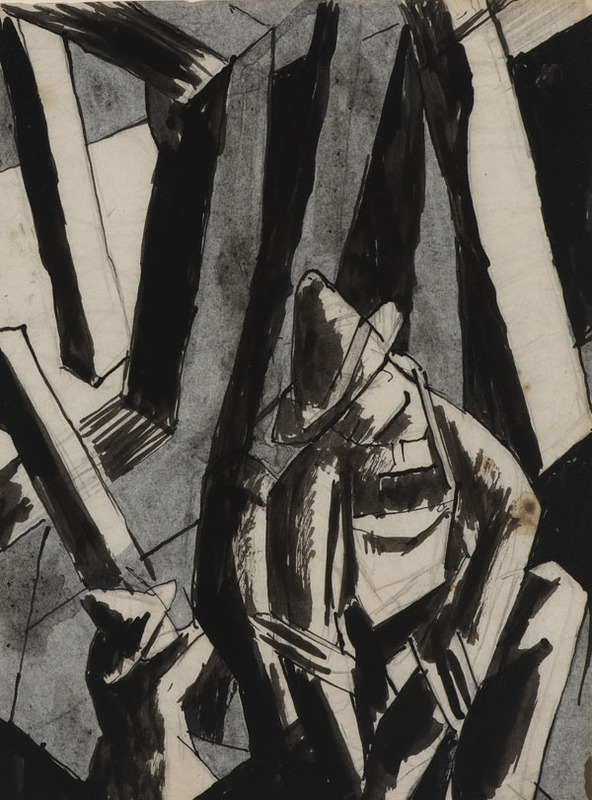 In 1913 Bomberg visited Paris with Jacob Epstein, making contact with artists including Modigliani and Picasso. 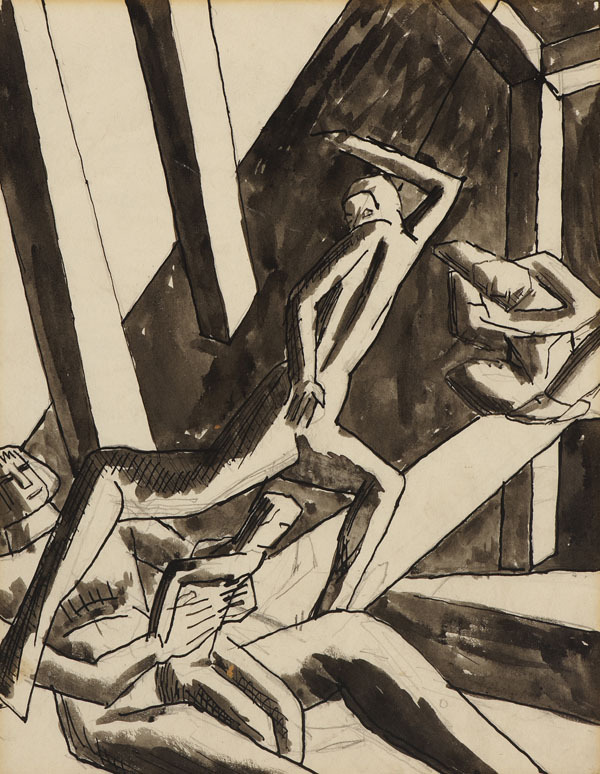 Bomberg’s harrowing service in the trenches during the First World War was compounded by a disastrous experience as a commissioned war artist, explored in a series of related drawings. 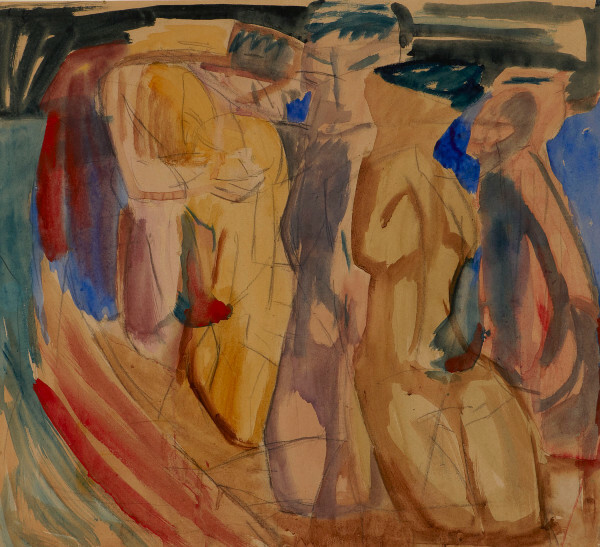 His postwar disillusionment is most powerfully expressed in the masterly Ghetto Theatre (1920, Ben Uri Collection). 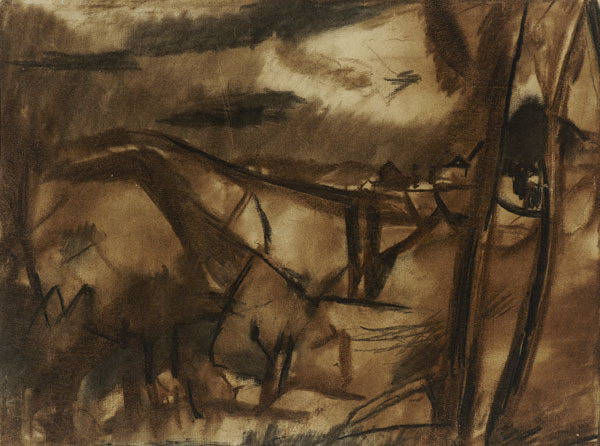 Afterwards Bomberg made a series of peopled landscapes before travelling in 1923 to Jerusalem, where he began to work en plein air for the first time. 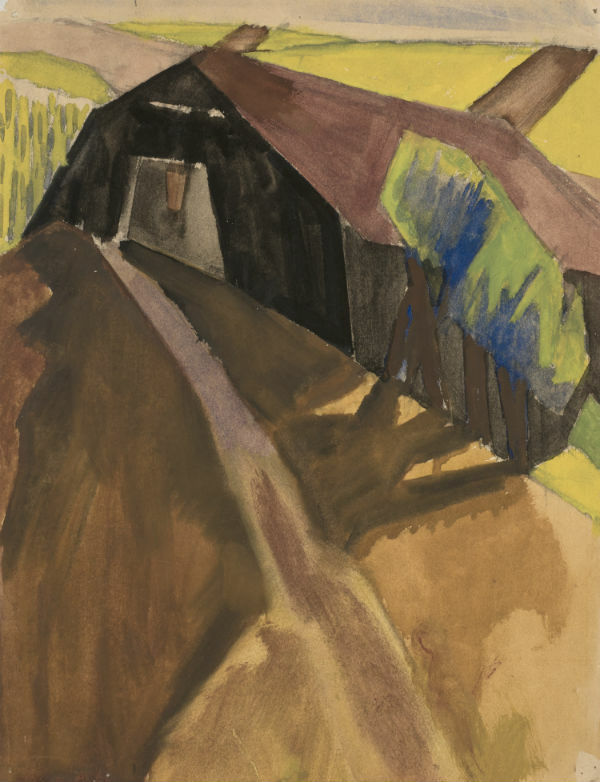 Following expeditions to Jericho, Petra and Wadi Kelt, he produced a series of detailed, realistic landscapes, which evolved from tightly topographical treatments into a looser, characteristically expressionistic style, heralding the painterly achievements of his final years. 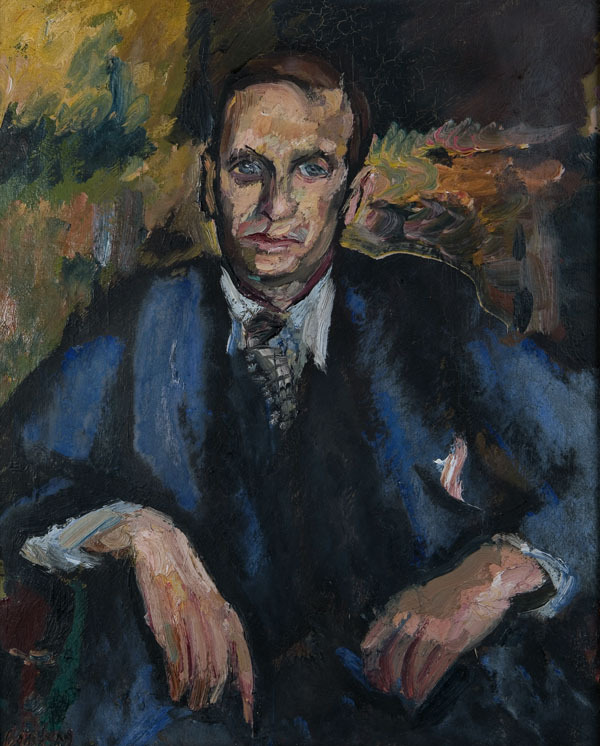 After a series of disappointments in the 1930s and 1940s Bomberg concentrated on portraits of friends and family, as well as a series of searching self-portraits. 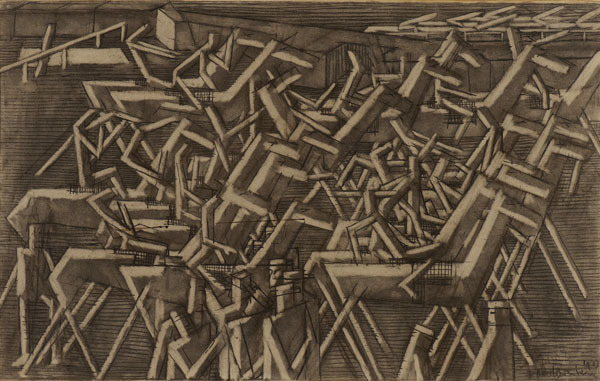 Although only reluctantly granted a Second World War commission to paint a bomb store in 1942, Bomberg produced many drawings and paintings on the subject, among them an impressive, large-scale study for a projected (but unrealised) mural. 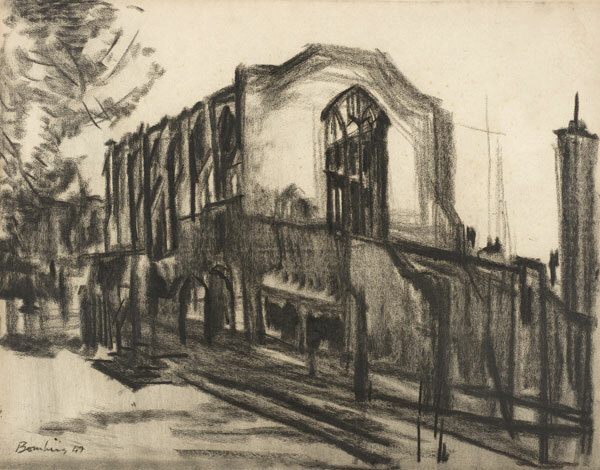 Following his visit to Spain in 1929, a renewed vigour resulted in a series of works based on the cathedral at Toledo, flowering on his second visit in 1934–35, into dramatic landscapes of the gorge at Ronda and flickering night-time processions during Holy Week. 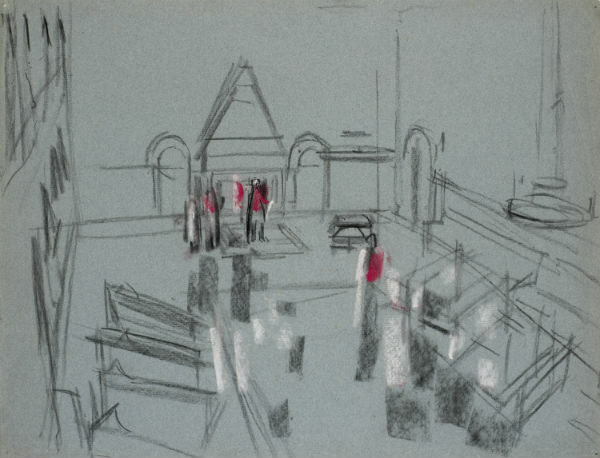 These experiments were curtailed by the onset of the Spanish Civil War, but over a decade later picked up and progressed in the west country, where his loosened handling verged on the abstract, and in Cyprus in 1948, eventually reaching a magnificent fulfillment of his early promise in his maturity on his final return to Spain. 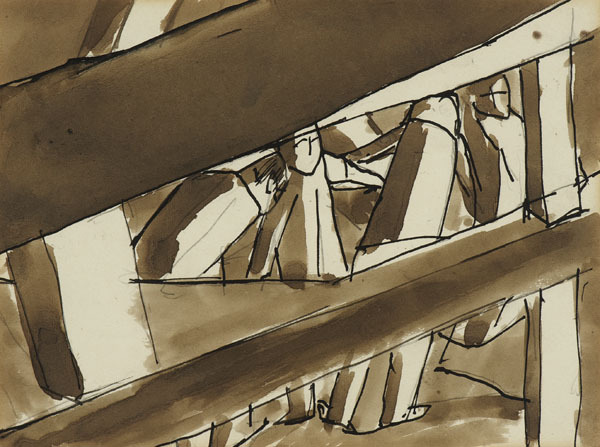 13 work/s by this artist from the collection are shown below. 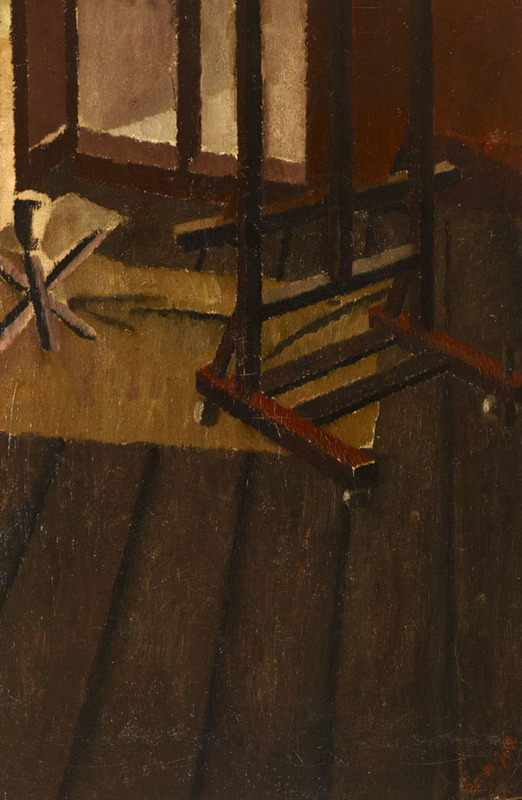 For a more detailed record and image please click on the link.